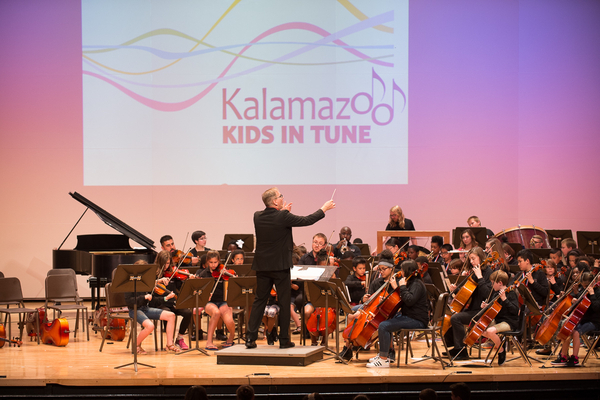 KALAMAZOO, MI, July 28, 2017 /24-7PressRelease/ — Kalamazoo Symphony Orchestra’s Kalamazoo Kids In Tune and Orchestra Rouh programs are among the new 2017-18 PlayUSA grant recipients announced today by Carnegie Hall’s Weill Music Institute (WMI). The PlayUSA program supports a wide range of instrumental music education projects across the United States, all specifically designed to reach low-income and underserved students on a local level. For its third year, Carnegie Hall has selected 13 organizations, including 6 new partners and 7 returning organizations from the 2016-2017 season, for a total of $430,000 in grants. In addition to financial support, the grantees join a nationwide network of innovative organizations committed to providing transformative music education opportunities for youth across the country. In addition to funding, participants receive consultation services with Carnegie Hall staff to help problem-solve, address challenges, and build on best practices, training and professional development for teachers, including access to online resources and monthly webinars. Educators and administrators from each PlayUSA organization will convene at Carnegie Hall in February 2018 to meet each other and explore teaching practice alongside Carnegie Hall teaching artists. 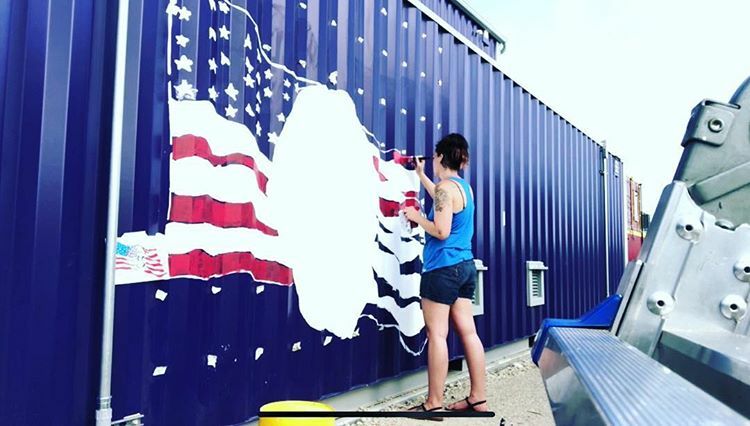 PlayUSA grants may be used to underwrite teaching fees for music instruction; purchase or rental of musical instruments as well as instrumental repair; and other programmatic costs. “We are honored to join the PlayUSA network. Our faculty and staff are delighted with the opportunity to connect this year with colleagues who share our deep commitment to working toward social justice through music. We look forward to learning from and sharing our experience with the faculty and staff of our new partner programs,” said Liz Youker, KSO Vice President of Education and Community Partnerships. According to KSO President & CEO Peter H. Gistelinck,” Becoming part of this outstanding initiative reflects KSO’s strong commitment to serve our community. We deeply appreciate this recognition after six years of development and growth at Kalamazoo Kids In Tune, and this year’s launch of Orchestra Rouh. These programs were developed in response to the challenges experienced in our community and exemplify the mission of the PlayUSA program to increase access to music study for underserved children. 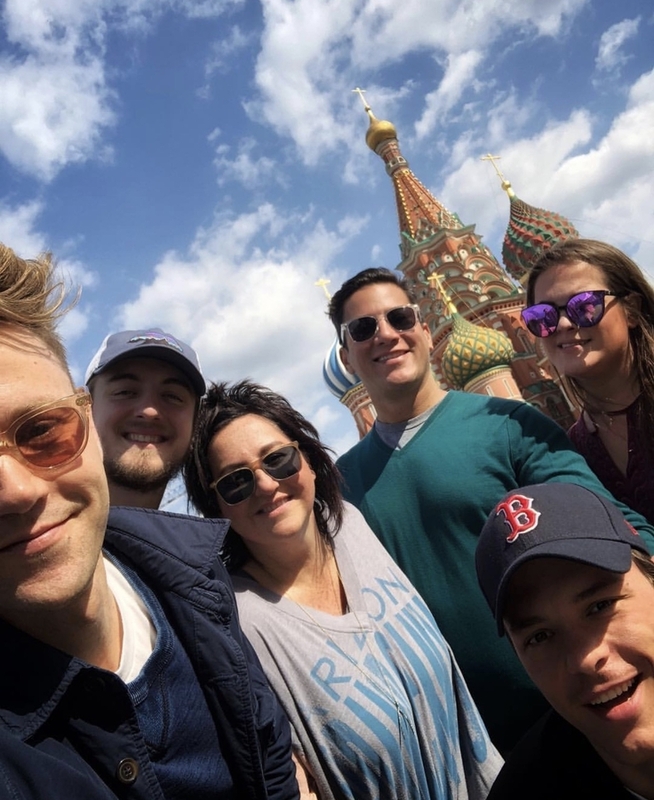 PlayUSA is part of a growing set of Carnegie Hall initiatives that have expanded beyond New York City to reach students and teachers nationwide, including Link Up, Musical Explorers, the Summer Music Educators Workshop, the National Youth Orchestra of the USA (NYO-USA), and NYO2. Kalamazoo Kids in Tune is a daily after-school “orchestra immersion” program offered in collaboration with Communities in Schools of Kalamazoo and Kalamazoo Public Schools. Students in grades 2-8 study instruments and participate in daily lessons and orchestra rehearsals with a faculty made up of KSO musicians and other professional instructors. Each day includes a nutritious meal and assisted homework time. Selected students from the middle school site return to the elementary program twice per week to mentor younger children. KKIT is increasingly engaging the community in music making through events that invite parents and musicians of all ages from the community to join the KKIT orchestra on special Community Play Days throughout the year. Orchestra Rouh is a free, year-around music program serving children of refugee families recently resettled in Kalamazoo. Rouh means both “hope” and “spirit” in Arabic: the program uses the power of music to nurture hope and spirit, support the emotional wellbeing of children, and foster friendship among immigrant and American children and families. Led by instructors fluent in Arabic and other languages, the children can study violin or cello and learn music from Western and Middle-Eastern traditions. Orchestra Rouh is offered under the umbrella of Kalamazoo Symphony Orchestra’s Education Programs, in partnership with Suzuki Academy of Kalamazoo. More information about Kalamazoo Kids In Tune and Orchestra Rouh is available at www.kalamazoosymphony.com and www.kidsintune.org, or contact Liz Youker, KSO Vice President of Education at [email protected]. For more information about PlayUSA and other programs of Carnegie Hall’s Weill Music Institute, please visit: www.carnegiehall.org/Education. Lead support for PlayUSA is provided by the Fund II Foundation.